Do you feel grounded and rooted in your being? 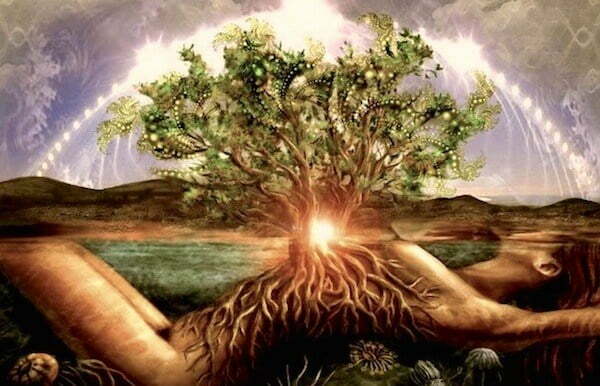 When you are grounded you are not only connected to Mother Earth but you are also rooted in your being and in the essence of who you are. Being grounded basically means you are centered in your self and with the physical, mental and emotional space that you are currently in.Even if you don’t necessarily enjoy where you are currently at, when you take a moment to center and root your being to the ground, you instantly give yourself a launching pad to spring from. Having a launching pad allows you to sink deeper into the earth so you can set your roots in order to branch out and grow taller. Just like a tree, the stronger the roots, the healthier and more lush you can grow. Often times however, life can bring us certain situations, events or feelings that can knock us off our launching pad. Usually this is temporary and is always to serve a higher purpose. Sometimes the launching pad needs to be moved, re-shaped, re-defined or completely changed and often this process can leave us feeling confused, stressed, all over the place, chaotic, unmotivated or stuck. If you can observe this in your own life and are feeling a lack of stability or centeredness, you may benefit from grounding your energy. Creating a sense of grounding is really about taking responsibility for your life and the events and feelings occurring. This doesn’t need to be a harsh process, but rather one that aligns you with your truth, wisdom and your ability to plan and take action based on how you feel. Spending time amongst the trees and flowers that are rooted deeply within Mother Earth is a great way to reconnect your energy and to establish your center to your self and the environment. Consider taking walk in nature and as you do, feel the weight of your feet in the ground. Feel your feet connected to the earth as you take each step. You may also want to take a few, deep mindful breaths where you imagine your feet sinking deeper into the earth and taking root amongst the plants. Try to also heighten your senses to see if you can tune in to the different smells, sights and sounds that are before you. Take the time to really observe the way nature is behaving around you. Aim to do this for about 5-30 minutes every day and be sure to switch off or leave your cell phone or other devices behind. Instead, use nature as your source of connection. Sit on the ground in a comfortable position so you feel your body connected to the earth. Close your eyes and imagine your body sinking into the ground below you. Feel the support of the earth and then start to visualise roots coming out of your body and reaching into the ground. See your roots being nourished by the earth and as you breathe deeply, allow yourself to feel a deeper sense of connection. Once your have visualised your roots moving into the ground, take a few deep breaths here before opening your eyes. Don’t have time much time? Simply walking barefoot on the grass is a great way to ‘earth’ or ground yourself, especially if you feel frazzled or have been sitting around technology for a long period of time. In fact, talking just 5-10 minutes to walk around on the grass can help you to instantly connect and stabilise your energy. The root or red chakra is responsible for grounding your energy and establishing your connection with the earth. In order to harmonise your root chakra you can do a rebalancing mediation, carry a red crystal, eat root vegetables, wear red or orange, practice standing yoga poses and listen to music in a 256 or 396 Hz frequency. Taking the time to ground your energy can definitely harmonise your soul and help you to reconnect with your essence. At different times of your life you may need more or less grounding, however you should always make it a point to center your energy when you are needing to focus or feel motivated, after spending time around technology, chaotic events or disruptive people and when you need to be present or of service to someone else. Our ? MEDITATIONS-ON-THE-GO Platform: ??? http://tc.hitart.com/pfc/redirect.html will also be introducing a combined meditation that combines all meditations into one and to be hosted 4 times a day/night to cover as many areas of the world, as well as mindfulness meditations to further ground our own light in this realm so that everyone can experience more aliveness and empowerment ? We also have many rooms that talk about intel as in the current events rooms, for those keen on getting their fix ? Simply repeat “Command PB Stardust” 3 times in your mind/vocally.
? Meditation for Removal of Directed Energy Weapons ?
? Meditation with Goddess to neutralize negative rituals ?
? The Goddess Vortex Meditation ?
? Violet Heart Meditation ?
? ? ? 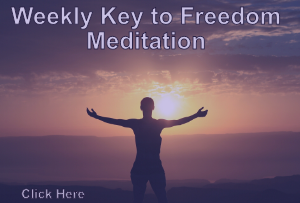 Weekly Ascension Meditation ? ? ?
? ? ? Goddess Meditation ? ? ?
? New Moon Meditation next March 17 ?
? Full Moon Meditation next March 31 ? Join us here to connect with like-minded individuals on our ? MEDITATIONS-ON-THE-GO Platform: ??? http://tc.hitart.com/pfc/redirect.html and to raise the Planetary vibration. ?? ?✨?